The coins from om gold trade net limited are made of pure silver with a image of lord ganesha. "there is a lot of demand for ganesha coins in india. But since the indian mint generally doesn't make coins on religious figures, we do not have any currency coin on ganesha. 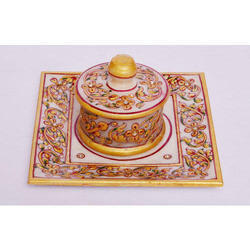 Owing to our in-depth knowledge in this domain, we are specialized in providing Magnet Souvenir. Our organization is offering treasure boxes that is manufactured using quality material and incorporated with multi-compartments. These treasure boxes can safely hold various precious items like jewelry pieces in an organized manner. Moreover, the boxes are provided with a lid that is attached with box along with a matching photo frame outside that creates a nice decor in the living room. Our organization is passionately engaged in offering an exclusive array of Spiritual Coins to the customers. These products are made from high quality components. Color: Any color available in market. Small volume production of custom souvenirs/memorabilia.